Often incorrectly identified as Canadian bacon (which isn't actually Canadian at all! ), peameal bacon is a pork loin from the back of the pig. The loin is trimmed of all fat, wet cured, rolled in corn meal and then sliced. 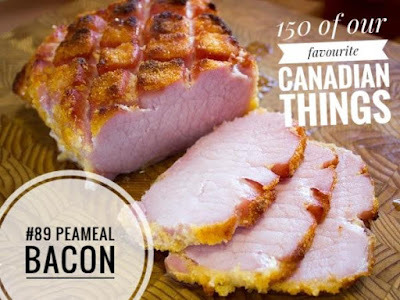 So why is it called peameal? Great question. Originally it was rolled in crushed peas!